Usually, outdoor wedding reception activities include the traditional must-do like first dance, garter and bouquet toss and DJs to provide music and dance tunes. But, if you want to do more than the usual ones, below are nontraditional ways you can add to have fun at your wedding celebration. Since having the event outdoors, the atmosphere is not as formal as compared to having the event indoors. Outdoor weddings usually have an air of informality and guests are more relaxed because of the casual atmosphere and they easily mingle with other guests. Depending on where the location of the reception, there are many ways you can liven up your wedding celebration. 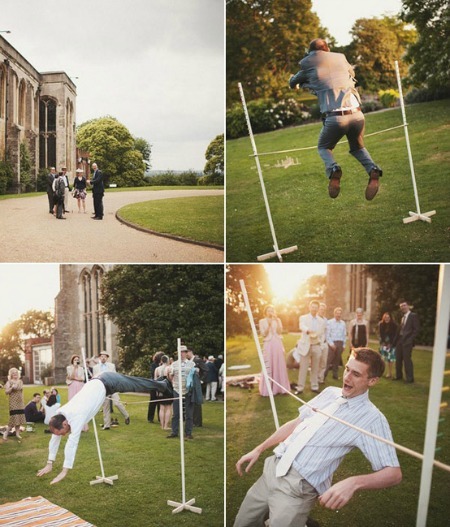 When having an outdoor wedding reception, one game that guests really love to watch and participate in is the limbo game. Your DJ can start off with the newly weds and the wedding entourage. The fun and excitement that would generate after that will be a draw for the other guests to join in. 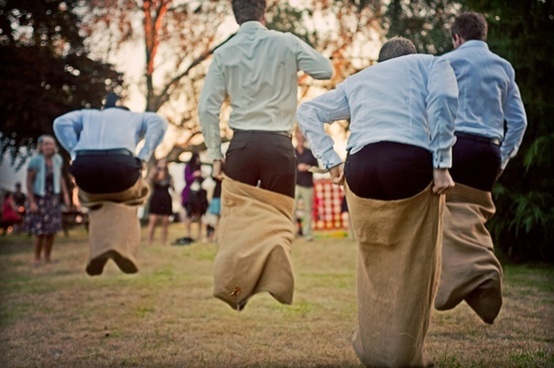 What games to play will depend on where the wedding is and how the guests are attired. A game like croquet is easy to set up in a park or large backyard and is possible in semi-formal clothing. Having a backyard outdoor wedding reception? Is a swimming pool available? 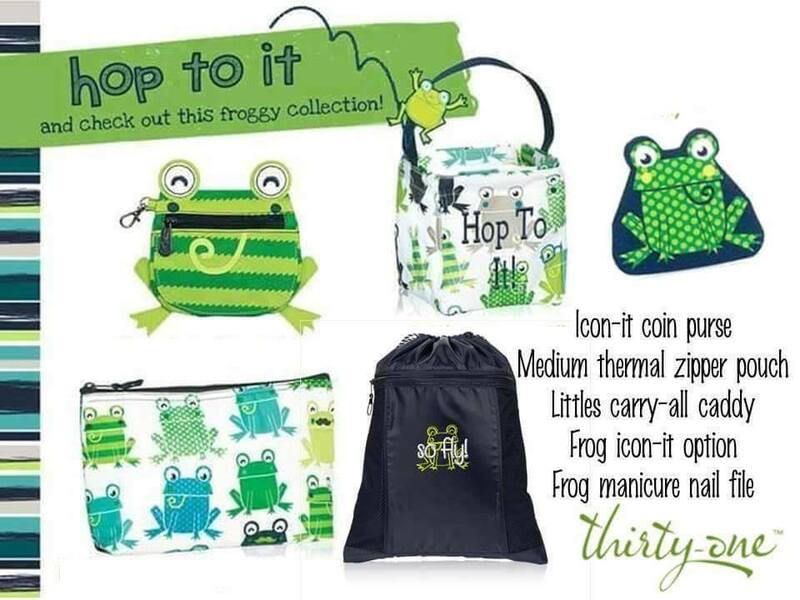 Then when sending your wedding invitations ask your guests to bring swimsuits along! Get the beach ball out and the guests will surely have a fun-filled evening! If the wedding is very casual, a park with large grassy area may be great for volleyball fun. Other ideas include sack race, frisbee, badminton, tug-of-war and lawn games. Stage a slideshow of you and your husband's childhood pictures during the reception. How about pictures of you the two of you taken while you were on your destination wedding? (This applies if this is a belated wedding reception for the folks back home who were not able to attend your wedding). Showing slides always interests everybody and makes your wedding celebration more memorable. A weekend wedding is a wedding in which couples and their guests celebrate over the course of a weekend. Special activities, such as spa treatments and golf tournaments, may be scheduled into the wedding itinerary throughout the weekend. Lodging usually is at the same facility as the wedding and couples often host a Sunday brunch for the weekend's finale.